VICTORIA Derby winner Extra Brut and Manikato Stakes winner Brave Smash are two horses expected to be in the mix when nominations for the $5 million All-Star Mile open on Tuesday. 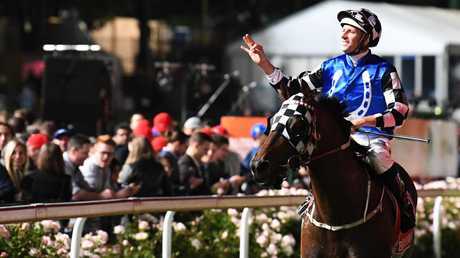 Champion trainer Darren Weir is already plotting his assault on the March booty and said a handful of his star horses would be a great fit for the 1600m event, especially those on an Australian Guineas pathway. "It's a great concept and the prizemoney is unbelievable, so I'm sure it will get a great field and we will be throwing a few darts at it," he said. "I'm sure we'll be nominating a fair few over the coming weeks. "The likes of Amphitrite, Rinderdingding, Extra Brut, Fifty Stars, Land of Plenty and Brave Smash could all be in the mix." Star stayer Humidor - which finished third in this year's Cox Plate - is out of the picture, Weir revealed, as he enjoys a longer spell in the paddock to recover from his busy spring. Hugh Bowman rode Brave Smash to victory in the Manikato Stakes. "It's obviously very early days, but I could see Land of Plenty running well in it if he gets a start," Weir said. "He has been running very consistently, he's got to prove he's capable of stepping up to weight-for-age, but I'd say he's got as good a chance as any. "And Extra Brut has got a lot of owners in the syndicate, so he won't be short of people voting for him." Nominations open on Tuesday for the All-Star Mile - the world's richest 1600m race that will be contested on March 16 at Flemington. It is the only race in Australia that is decided by public vote, allowing racing fans to vote to determine which horses gain a start. Prizemoney is paid for all places, with the last runner home taking home $90,000. Nominations - which will cost owners just $500, with the money to be donated to charity - are open for the next month with voting to open on January 21. "We're excited to open nominations … and begin what is going to be a unique and fascinating journey for fans and connections over the next three months," Racing Victoria executive general manager of racing Greg Carpenter said. "The All-Star Mile is built on our vision of 'racing for all'. 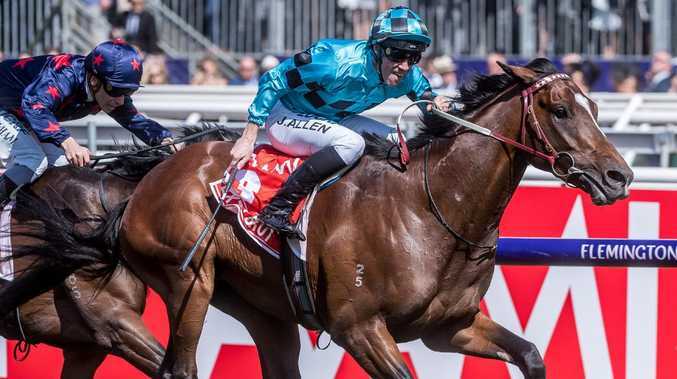 All fans will get the chance to have their say on who competes at Flemington next March, while a huge cross section of stables and owners can chase a dream result."